Here are the prior versions for when she turned three, two and one! 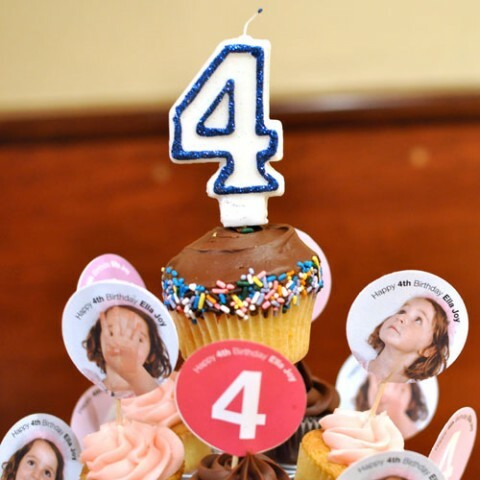 It’s neat to see her *grow* each year through the cupcake toppers! She’s adorable as ever. Happy Birthday Ella Joy! oh this is so adorable!!!! happy birthday, ella joy!!!! Funny enough, when I picked them up, the young lady that was checking me out looked at me and said “I love your blog”! Odd to be recognized like that during an everydalife interaction. Made me smile. I can remember as if it was yesterday the special birthdays my mother prepared to me. In my last birthday (24) my mum prepared a party to me as if I did 4. I laugh a lot and we enjoy it so much! even my friends from the university! I never though it was enough as I’m sure Ella won’t do it too. 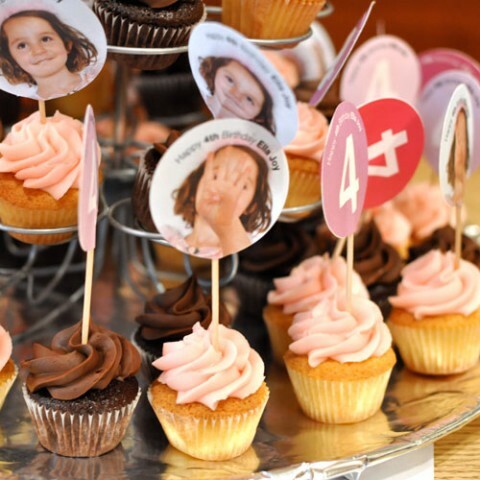 I think your cupcakes are darling – and don’t worry about your daughter outgrowing birthday traditions, I have two sons 18 & 15 and we still celebrate their birthdays the same year after year. They feel really special and cherish these fun family times. A lovely tradition and lovely looking cupcakes! It’s fun to watch the progression. She’s growing up to look just like you! And I think it’s a very cute tradition. Haha, Tina, I was that cashier at Betty Bakery. Love to see what you’ve done with them! Come back soon. I have been reading your blog for some time and I have a daughter turning 4 this week! love the faces on cupcakes! Why would she stop? I’d still love for someone to do that for me! WOW! How quickly a year passes. 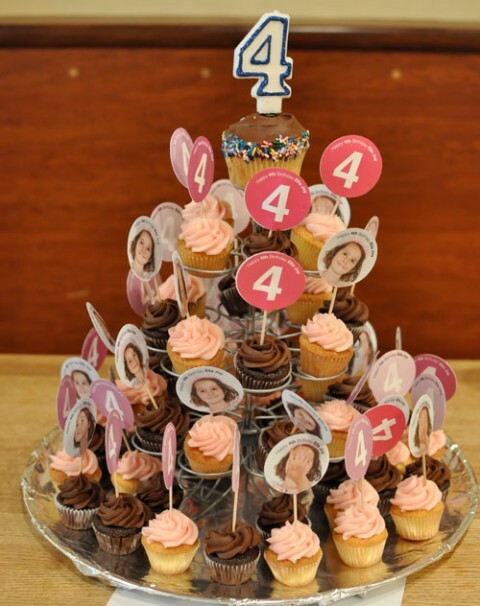 It hardly feels like a year since the last cupcake tree! Tina, my daughter was born on the same day as yours, congratulations! Oh Tina this is such a great idea! My daughter is turning 5 in 2 weeks and I have been looking for great idea and this is just perfect! I might move to Hawaii after which travel the globe.